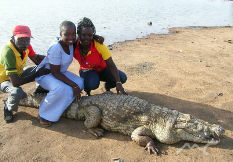 The Eastern Region of Ghana is a rich blend of dramatic landscapes, historic relics and traditional cultures. The ancient blends with the 20th century in this region so close to, but such a contrast with Accra. 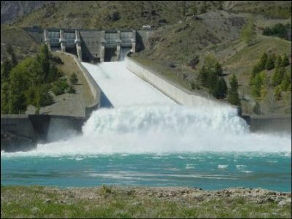 The region is dominated by Lake Volta, the world’s largest man-made lake, and the Akosombo Dam, source of Ghana’s hydroelectric power. Both are worth a visit. A favorite excursion is the weekend trip to Dodi Islands. 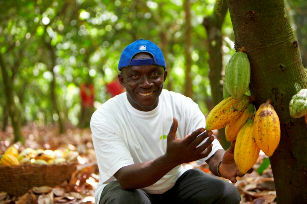 The Eastern Region contains Ghana’s only commercial diamond mine at Akwatia, while the birthplace of our great cocoa industry can be found at Mampong-Akwapim. 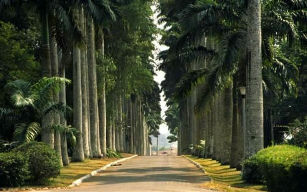 These century-old botanical gardens, about one hour’s drive from Accra. 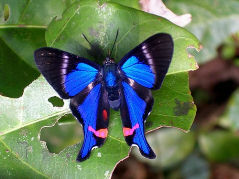 Accra offers a rich collection of tropical flora which attracts scores of birds and butterflies. The tranquil paths are a popular excursion for our city dwellers. The Gardens were originally created in 1890 as an agricultural research station and a habitat for plants from around the world. Over the years the Botanical Gardens have collected together a variety of tropical flora which attracts scores of birds and butterflies. Situated in the town of Aburi, which is well-known for its health climate, the Gardens also have pleasant indoor-outdoor restaurants and facilities for staying overnight. The Volta Lake is one of the largest man-made lakes in the world. Created in 1965 as a result of the damming of the Volta River at Akosombo, the Lake stretches from Akosombo in the south (at Yapei) to Buipe in the north. 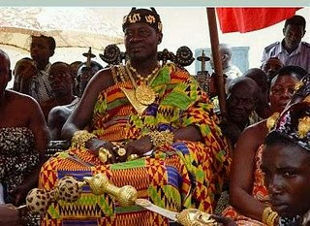 Both towns are within an hour's drive of Tamale, the Northern Region's capital. The Lake offers a variety of opportunities for cruises, water sports and angling. It also has many fascinating islands and islets, such as Dodi Island, where facilities for excursions are being developed. With the recent construction of modern ports at Akosombo and Buipe, passengers and cargo can now move easily by boat to and from the north throughout the week. 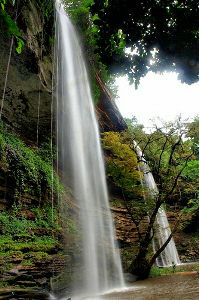 10km north of Kibi is the magic forest of Atewa-Atwirebu. This nature lovers' paradise has over 150 different species of ferns and other flora. The forest is filled with the enchanting sounds of birds and insects including the "Papillio Antimactus", one of the largest butterflies in Africa! The "Big Tree", which is one of the most attractive tourist spots in the country, is located in one of the district's nine forest reserves, called the Esen Epan Forest Reserve, about 22 kilometres from Akim Oda on the Oda - Agona Swedru trunk road. 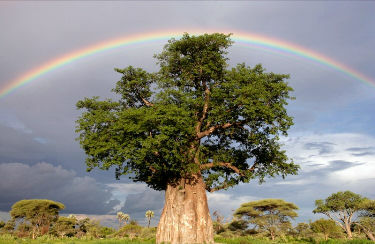 The tree, believed to be the biggest in West Africa, is 12 metres in circumference and 66.5 metres tall. The mode of celebration is that, adolescent girls are adorned in beautiful beads and half-clothed. The festival initiates such girls into womanhood. A colourful durbar of chiefs is marked to climax the celebrations. The duration of the festival is 2 days (Tuesday – Wednesday). Two weeks before the festival, a ban in placed on drumming, dancing and noise making. Monday preceding the Tuesday, home the first harvest f the year and to have plenty of food in the house for the duration of the celebrations.